The Renault-Nissan Alliance has stepped forward to assist people affected by the unprecedented rains and floods in Chennai and surrounding areas. 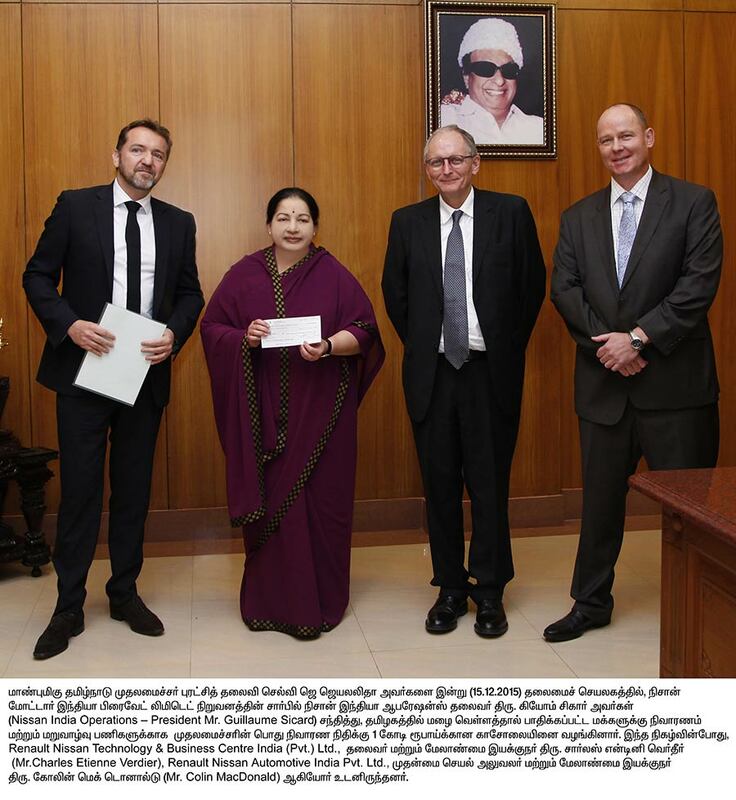 As an immediate gesture, the Renault-Nissan Alliance donated One Crore rupees to the Tamil Nadu Chief Minister’s Public Relief fund for relief and rehabilitation efforts due to the Chennai flooding. The Alliance entities are also working with various local NGOs to provide disaster relief as well as allocate funds raised through spontaneous employee contributions. This contribution is meant to complement the efforts of the state government in providing relief to victims of the flood and resettling them as soon as possible. We offer our deepest sympathy to those who have been affected by the worst floods in decades and express our admiration for citizens of Chennai, who have shown great resilience in these tough times. The Renault-Nissan Alliance has strong roots in Chennai and we will assist in all possible ways to restore normalcy including our employees and suppliers.